• Light-weight, quick and reliable method of making a number of pneumatic connections. • 8, 16, 24 and 32 port stainless steel quick disconnects. • Available with 1/16” and 0.040” (1mm)compression fittings and bulged tubulations. • Male and female blanks and pipe- work guides available. 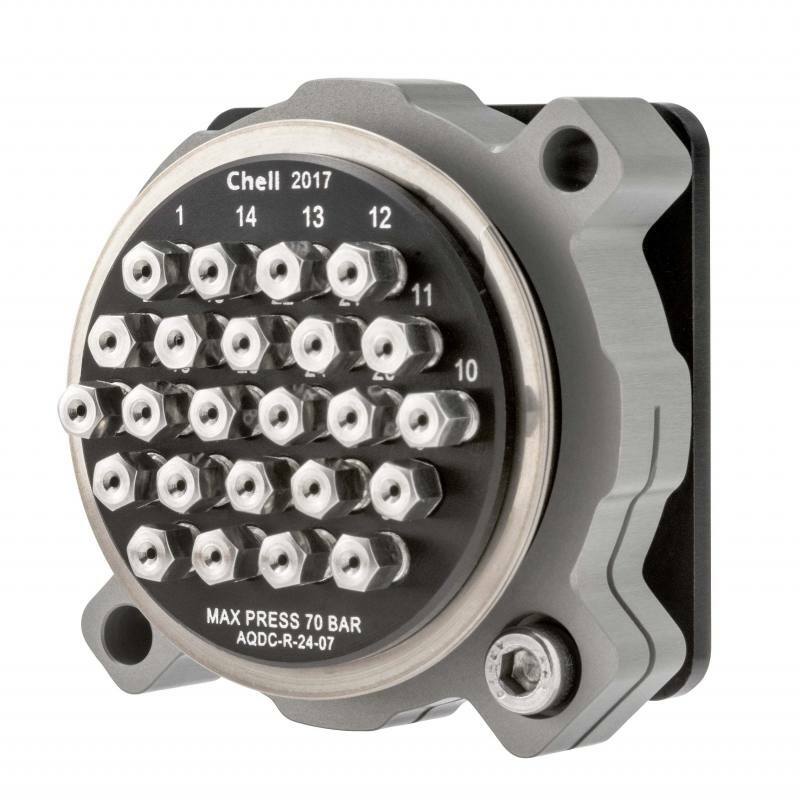 Chell has developed a range of aluminium high-temperature quick disconnects to complement our successful range of stainless steel quick disconnects (SQDC). The AQDC has the advantage of reduced weight over its stainless-steel counterpart and can be used where the full temperature range of the SQDC is not required. 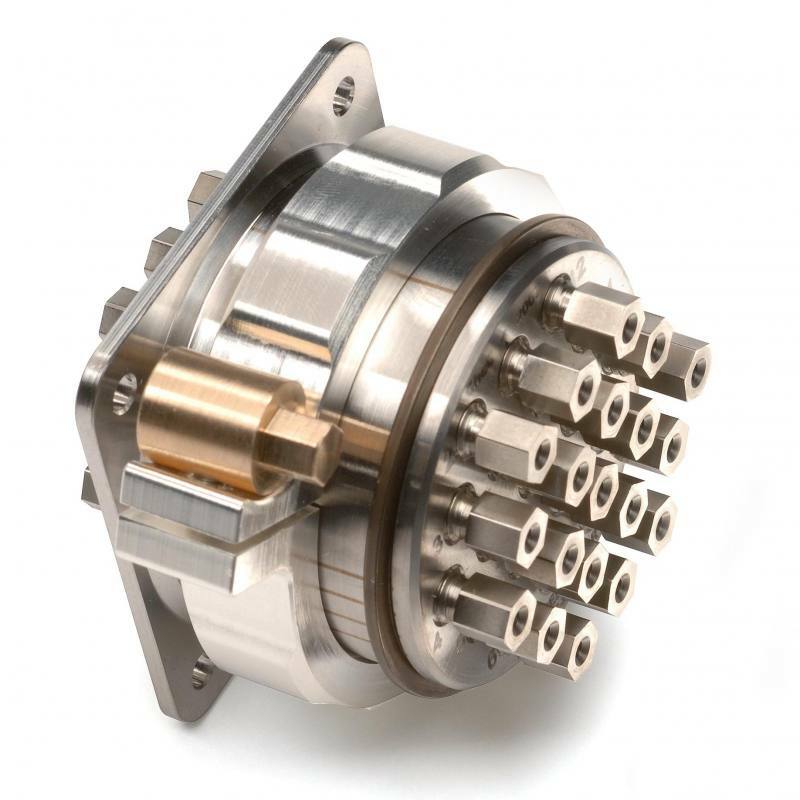 Suitable for use in a range of harsh environments, the AQDC’s allow for quick and simple connection of multiple pneumatic lines primarily designed for pressure instrumentation. 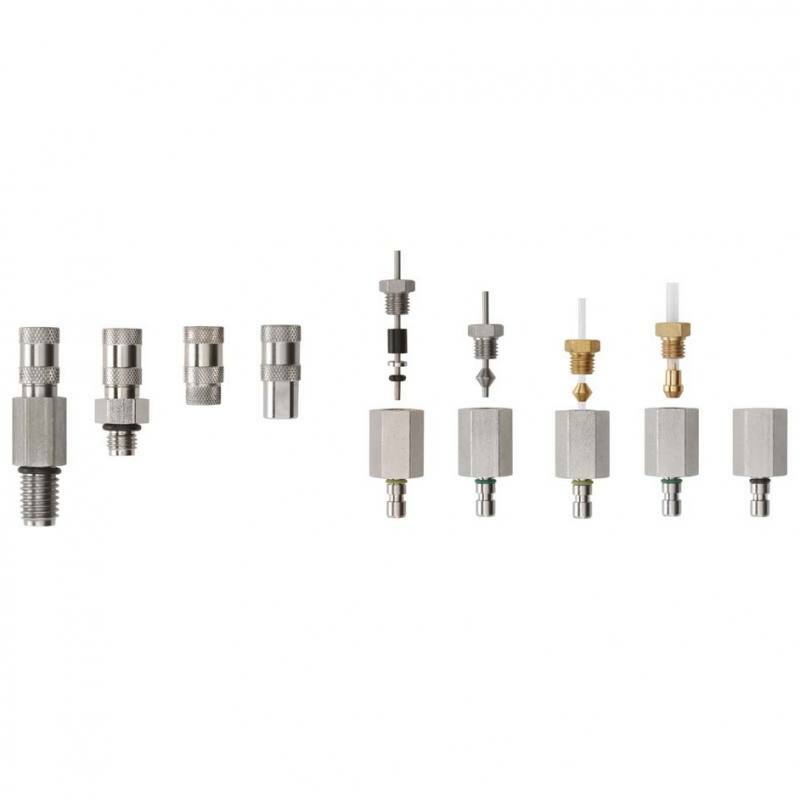 They feature 1/16” and 0.040” (1mm) compression fittings (with double ferrules) for direct and reliable connection to stainless steel tubing. The AQDC range can also be ordered with bulged tubulations for flexible tube (either 1.0 or 1.6mm i/d) and can also act as an adapter between each type. 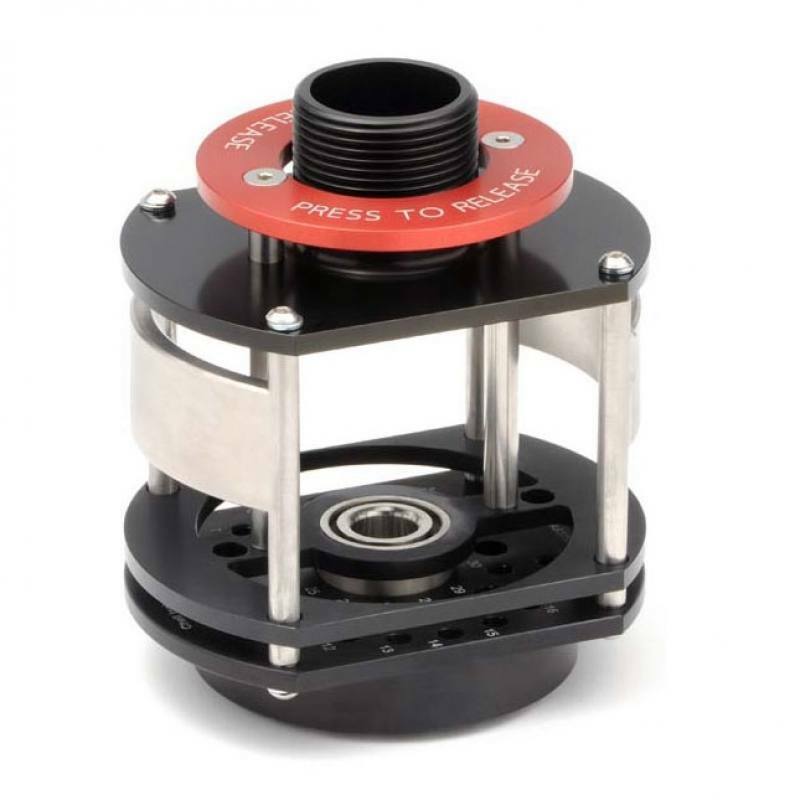 The AQDC is supplied with silicone seals which gives the coupling a wide temperature range of -55 to 250°C. 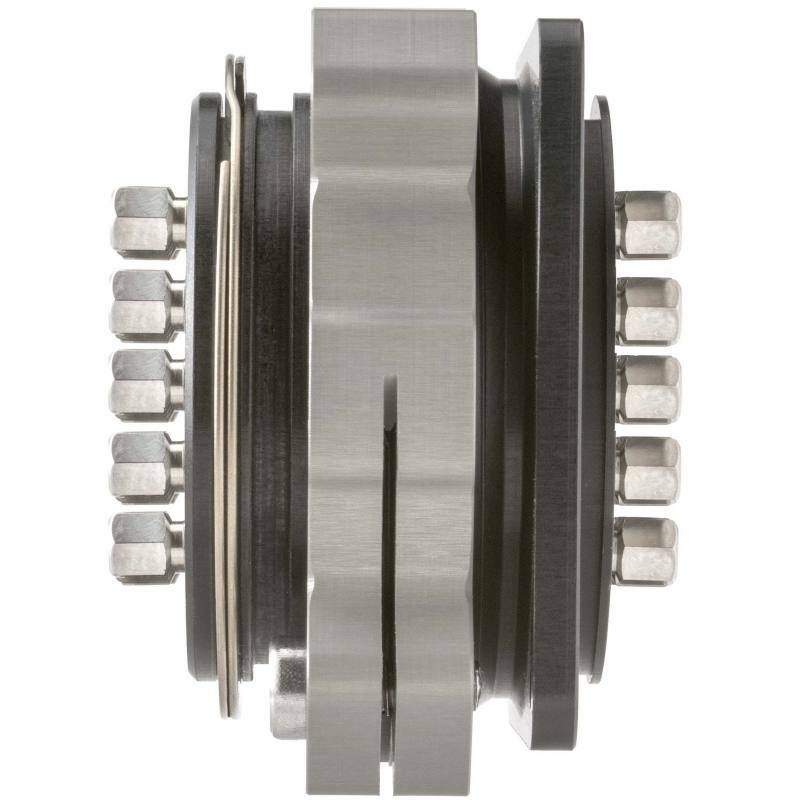 The AQDC is also fitted with an anti-vibration locking main nut that makes it suitable for extreme vibration environments. The AQDC range is extensive. It can be ordered for 8,16,24 or 32 ways with blanks of either gender available. 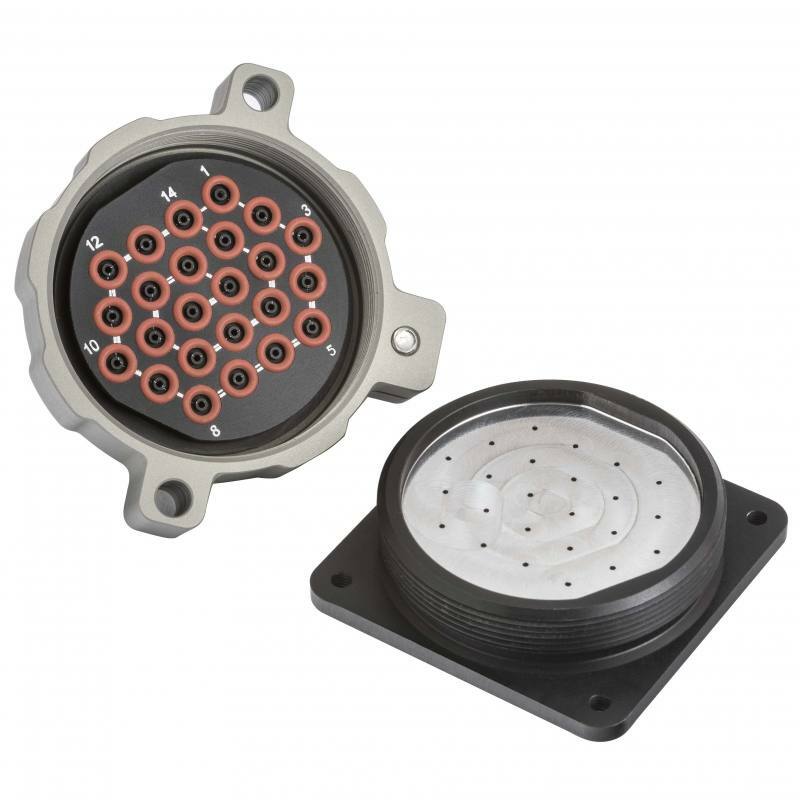 The AQDC range compliments Chell’s other pneumatic connector series such as the SQDC, Cablerange AS and Circlex connectors and the TE high density quick disconnects.